Why Pursue Sewing as a Hobby? Embarking on a new hobby may be somewhat daunting, especially if you battle to make a choice regarding what to do to start with. As far as rewarding hobbies are concerned, sewing rates as one of the best with it being significantly more popular today than it was 10 years ago. Sewing is no longer restricted to ashen-haired seniors hunched over ancient sewing machines either. Thanks to shows like Project Runway, sewing has become more fashionable than ever before, with men and women of all ages and from all walks of life engaging in it at some level. Perhaps you have delved into sewing when you were younger or you envision yourself being the next Vera Wang. Regardless of the reason, starting out on a new hobby can take some getting used to, especially when it comes to sewing. Luckily a few simple guidelines will make the process of deciding whether or not sewing is the correct past time for you a lot easier. 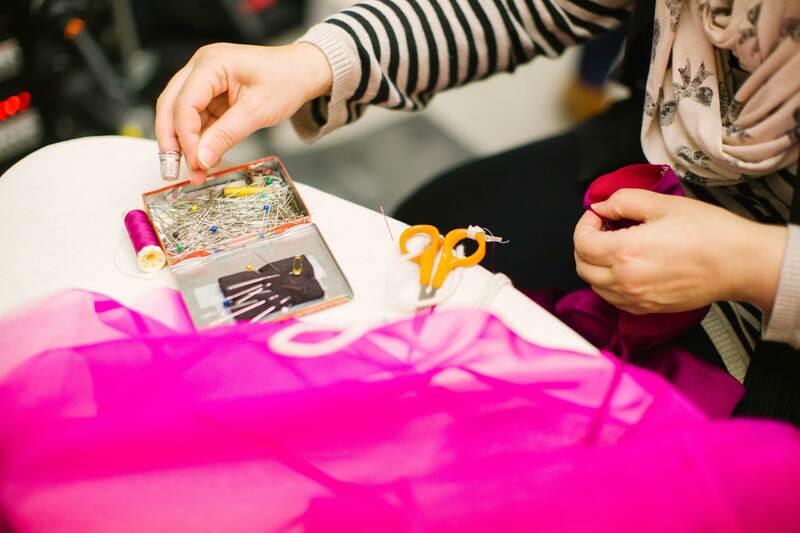 Prior to spending money on anything sewing-related, attend an introductory sewing class to see if it is truly something you may have interest in. Even if you were once deemed a sewing queen it is recommended to get back into the saddle in a class environment. Many local fabric stores offer sewing classes or alternatively, search the classified section of your local newspaper for a private instructor. You will only need 2 to 3 hours in a sewing class to decide whether this is the right hobby for you or not. It’s natural to want to be able to sew a glorious wedding gown right away but it’s just not practical. It is never a good idea to start out a new hobby with complicated projects. Starting out over-ambitious can result in self-doubt, burn-out and a lingering dislike for a hobby that was not given a fair chance to begin with. Start with small, simple projects like sewing a pillowcase or table cloth and then move on to more ambitious items. As you gain confidence behind the sewing machine you can start experimenting with more difficult sewing techniques. If you don’t have access to a sewing machine, get one. Beginner sewing machines are very reasonably priced and well worth the investment. If you are unsure about whether your interest in sewing will last or not inquire as to whether your local sewing studio offers good rates to rent a sewing machine. Like with any other skill, sewing requires hours of practice. Don’t allow the time required to master the art of sewing overwhelm you. Rather attempt to enjoy the process. Don’t be stressed out by the epiphanies that dawn upon you at midnight when you finally understand how garments are constructed. Rather rejoice in the thought that soon enough you will be able to hem, tuck and gather like a pro. Once you are certain that your interest in sewing isn’t just a passing fad you need to invest in some tools that will enhance your sewing experience and make it more productive and enjoyable. A few basic items you will require include a good pair of fabric shears, a rotary mat, pins and pin cushion, a steam iron, a seam ripper, tailor’s chalk and sewing patterns. Accidents will happen and there is, unfortunately, no way to avoid them. Don’t beat yourself up over mistakes though, not even if your entire sewing project is ruined. Be patient with yourself and view your mistakes as a learning experience. If you find yourself getting frustrated, take a break for a while and come back to your project. It is always easier to solve a problem with a fresh perspective. If you are still giddy with excitement about sewing after reading the above guidelines chances are good that sewing is the right hobby for you. All you need to do is buy a few lengths of fabric, find a couple of cute patterns and start sewing up a storm. Before long you will be able to show off your fantastic sewing skills to friend and family alike.